At Australian Gold Dealers we offer you peace of mind with our comprehensive services for your dealings with precious metals. With our extensive experience we will guide you in the right direction with transparent advice and information to maximise your experience and outcomes. Our service aim is to see you exceed in this industry. Australian Gold Dealers are a large scale national gold buyer working with partners across Australia to reclaim and process scrap gold and unwanted jewellery. As well as providing this service they sell bullion bars and coins directly and through trade affiliations. 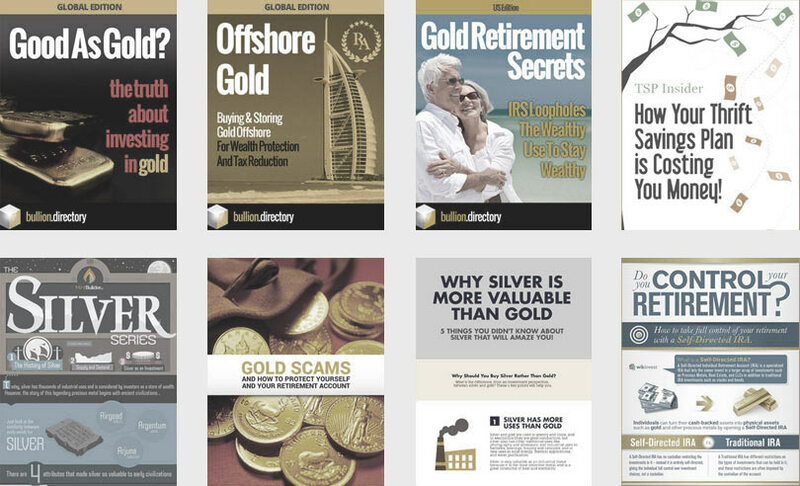 When doing business with Australian Gold Dealers - please say you saw them in Bullion.Directory. 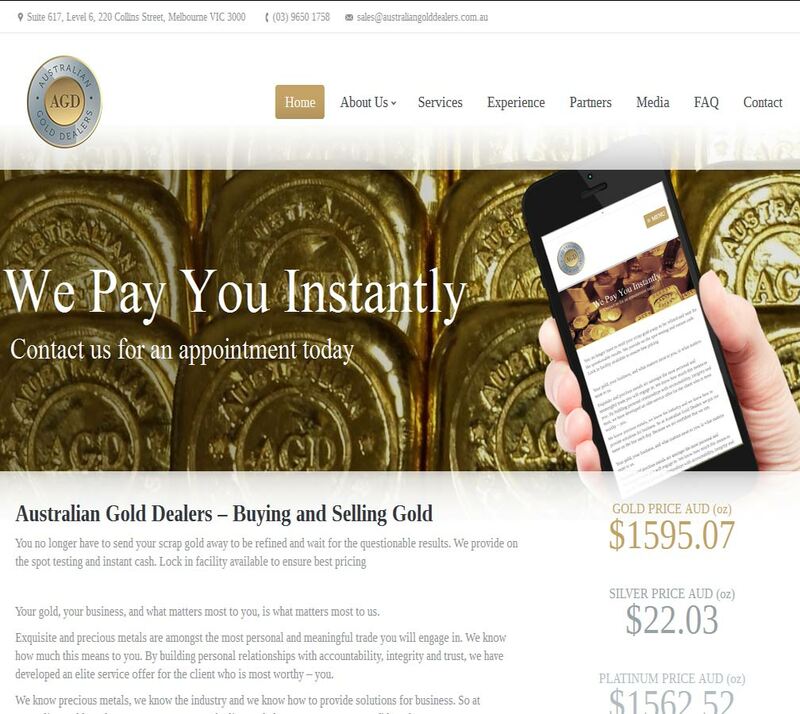 Read or add Australian Gold Dealers reviews and ratings using the "reviews" tab above. 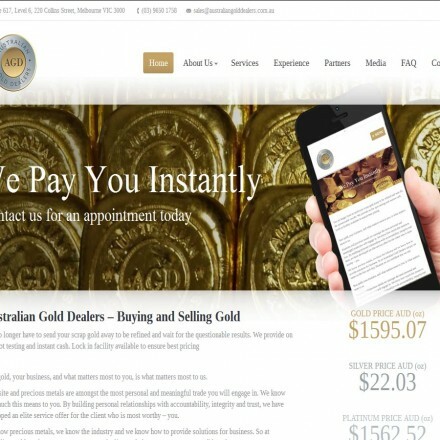 All Australian Gold Dealers details are believed to be correct at the time of listing. Please report errors here.